How was your first month of 2013? Are those New Year’s Resolutions still going strong? 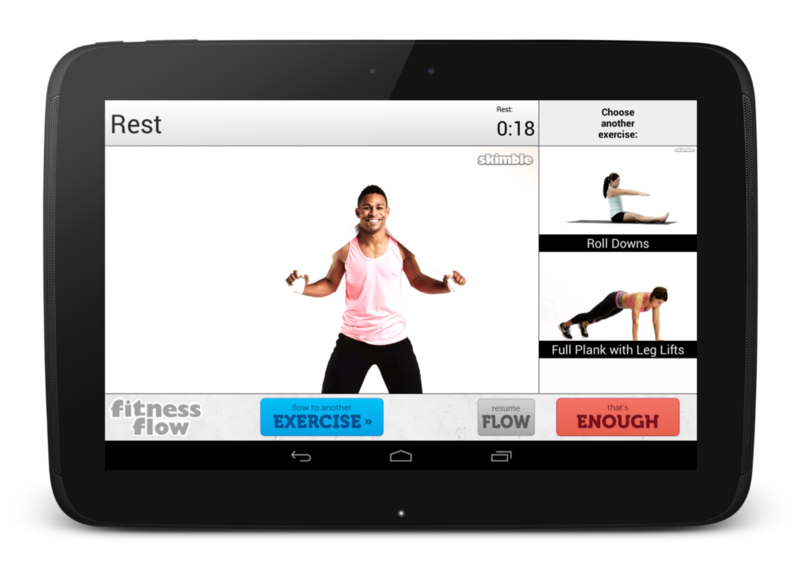 Well if you’re looking to keep your workouts interesting, check out the new and improved Fitness Flow for Android. With the 1.7 update packed with more fantastic features, you’ve got no excuses to get off the couch and get moving! We’ve been listening to your feedback, and have some great updates that we think will keep you motivated and staying active! ??? Bug fixes & continual improvements! Challenge yourself with our new exercises and see if you can beat your previous exercise times! You’ve got no excuses since Fitness Flow is limited to bodyweight & dumbbell exercises that you can do anywhere. 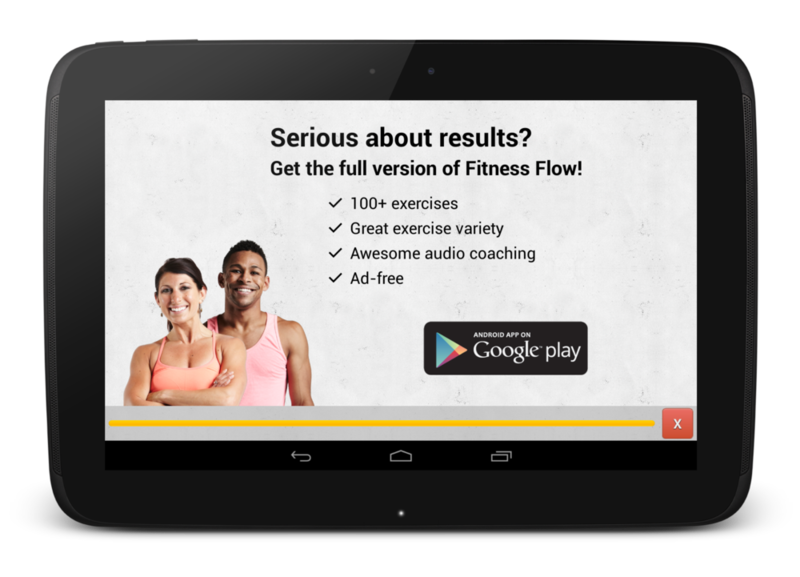 Try it for FREE on Google Play (with ads & a starter set of exercises). If you like it, get the FULL version at the new-year sale price of only $1.99 (sale ends soon)! 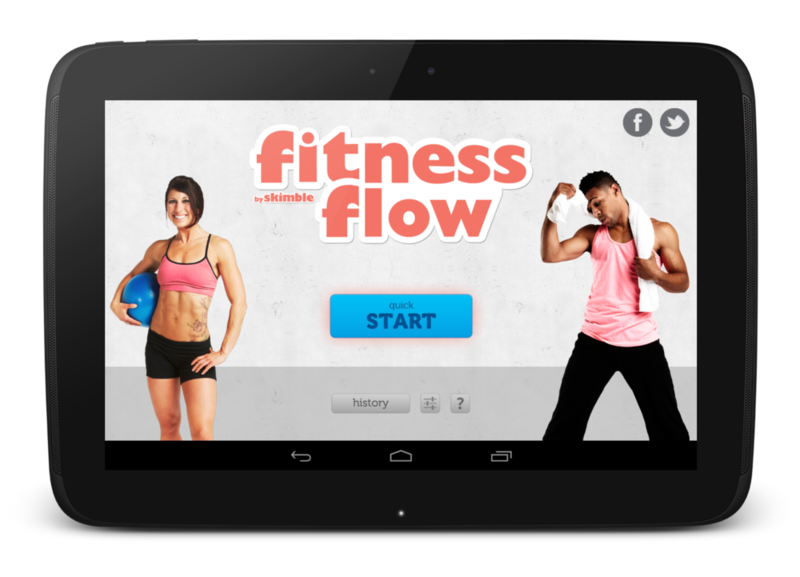 Snag the full version of Fitness Flow now and you’ll get 100+ exercise videos with more pro-led audio coaching and no ads! This entry was tagged fitnessflow, skimble. Bookmark the permalink.